KTR Promotions in Venice Beach & Los Angeles California: Sunday, July 30th, Artist Bobbie Rich Set to Exhibit at Upper West Restaurant! 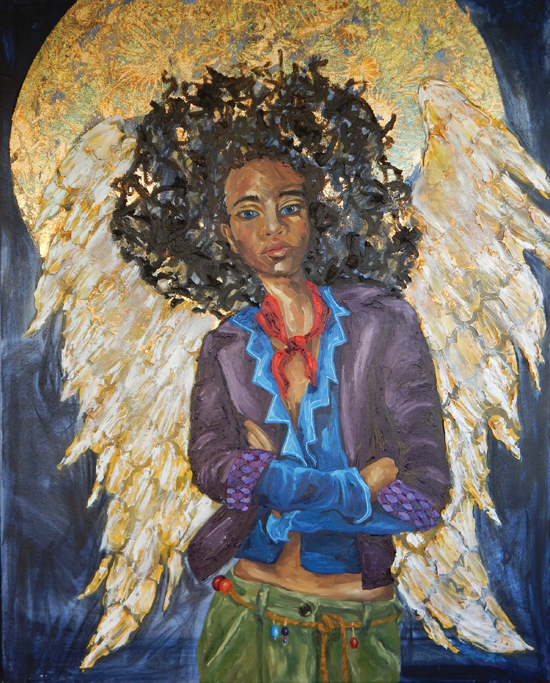 Sunday, July 30th, Artist Bobbie Rich Set to Exhibit at Upper West Restaurant! 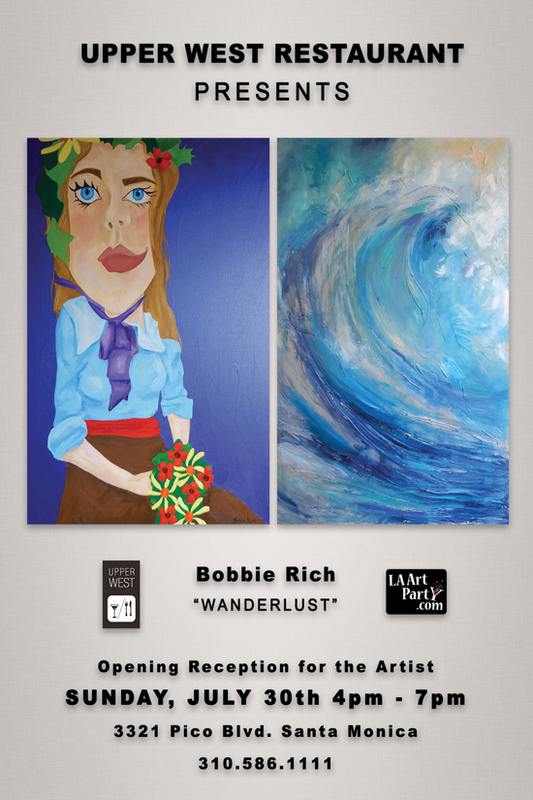 “Wanderlust," a solo exhibition by Bobbie Rich opens on Sunday, July 30th at Upper West Restaurant in Santa Monica. The artist reception will be held from 4-7pm. As most foodies know, Upper West Restaurant features the most amazing cuisine. In addition to many special events such as tasting evenings featuring brand ambassadors and food pairings, the restaurant is known for its incredible happy hour. However not everyone knows about the art events that take place throughout the year. Every few months Upper West welcomes a new artist and hosts an opening reception…this has been taking place since the restaurant opened in 2010. Bobbie Rich is a talented artist who will be returning to the restaurant to show new work. Not only has the artist been featured in a solo exhibition at the restaurant back in 2015, she has hosted several benefits at Upper West for various charitable organizations that she donates her time to. A frequent diner at the restaurant, Rich said she recently enjoyed a cocktail named the Paloma - "very refreshing with just the right amount of zing for summertime. One of the reasons I love Upper West though, is that there are so many wonderful cocktails to choose from…and the whiskey flights. Oh my!" Rich's previous paintings are known for their whimsical people. She currently uses oil paint with other media layered in - acrylic, paper, metal leaf, moon paint, etc. 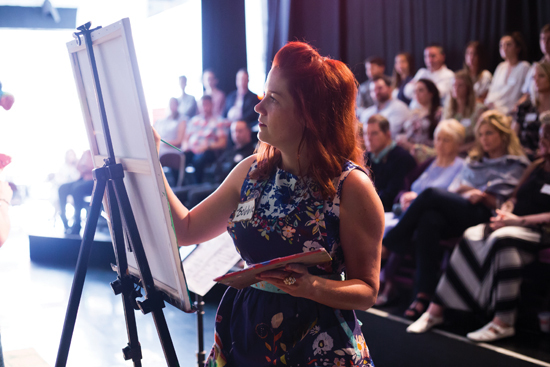 She will be displaying over twenty new paintings, including abstract waves, exotic animals and a mixture of people inspired by travel, fashion, nature and personal relationships. Some of her work leans towards portraiture and a few of the characters in her paintings are adorned with angel wings.